St Clair County VBC 15 Navy pulls out a huge win! On the road to Memphis, the girls faced many challenges. Teammates with injuries, a coach in a car accident, and pressure all around! The first day they felt it all and did not win a single match. With somber faces and looks of despair, Club Director, Mykeia Crogier suggested that her team and coaches pray. They prayed the next morning and God delivered! The girls went from defeated all day Saturday to undefeated on Sunday clinching 1st in bronze and bringing home the trophy! Coach Dierre Littleton and Brittany McFarland were inspired by their teams’ faith and willingness to hold on to God’s unchanging hand! They learned a valuable lesson that weekend. We can do all things through Christ who strengthens us! 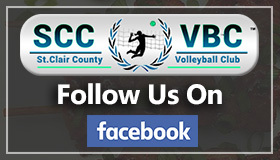 St Clair County VBC has found a home at the Belleville Sportsplex and will be hosting tournaments there this year! Come out and support these ladies as they continue to grow and understand God’s favor on their life! 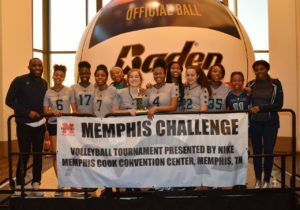 15 Navy brings home the trophy!! !